One of the more interesting elements to note from the recent MTV VMA Awards - aside from it being the most tweeted about, non-sports event in history - was the use of new Twitter image options by some celebrities at the event. As you can see in this tweet from Taylor Swift, there's a graphic overlay related to her song 'Bad Blood' and a text addition at the top of the GIF. None of these options - the ability to add graphics, text or create GIFs - is currently available in Twitter's native photo functionality. Swift was one of several celebrities on the night who'd been given access to a new version of Twitter's app, or a new app entirely, which enabled them utilize a range of new photo editing tools. This hasn't been officially confirmed by Twitter, but it kinda' has at the same time - Twitter's head of entertainment talent Laura Cohen tweeted out her praise for how Swift was using their 'new cam tools' during the event. "Swift's video tweets don't show up as being from any client in TweetDeck, which you could take to mean it is from a new app. Perhaps... maybe." What's definitely clear from these images is that Twitter is looking to upgrade it's photo and video editing options, which would bring it more in-line with other, popular messaging apps like Snapchat and Facebook Messenger, both of which have their own graphic addition options. And one of the most interesting elements of this is the expanded opportunity for branded content that would also be afforded by such options. We've already seen examples of how video and image filters and stickers can be used from a branding perspective. Back in June, Snapchat opened up branded filters as an option, with McDonald's being one of the first brands to implement the function. 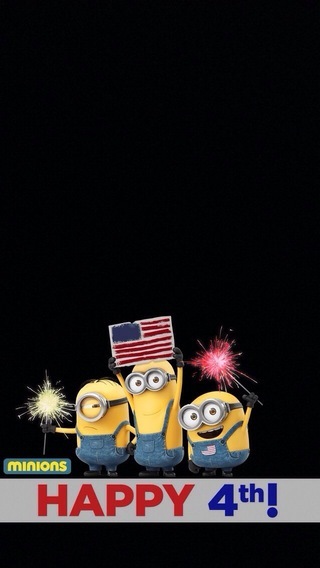 Another example was the Minions movie, which put together a branded filter for the 4th of July. These overlays offer a creative and personalized way for brands to extend the reach of their campaigns without having to disrupt the user experience - if brands can come up with creative visuals that users actually want to use in their photos, that's a massive win, and one that's made readily achievable via image additions (Delmondo CEO Nick Cicero wrote a great post on some of the creative ways brands could use such filters). 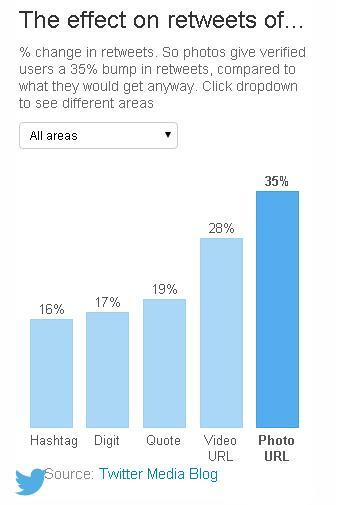 Given this, it's not surprising that Twitter is looking to jump on board and capitalize on this trend. And rolling the option out to celebrities first - giving high-profile users a level of exclusivity whilst also showcasing these new options - is a good way to build excitement around the offering before any official release. It's well documented that tweets with images see a significant boost in performance, garnering up to 35% more retweets. With 500 million tweets sent per day, that's a lot of opportunity for engagement. If brands can use that to their advantage, you best believe they will. So, are you ready for your Twitter feed to be hit with a flood of emoji-infested images? Given the diversity of Twitter's userbase, that's probably not going to happen - while the majority of Twitter's demographic profile is aged under 30, there's a wide range of users who access the platform for vastly different reasons. But that younger user base is where Twitter is aiming with these new image options. Millennial users, who are keen to paint their photos with smiley faces and additions, form are key part of Twitter's ongoing success - providing them with the tools that they're most keen to engage with is an important, even necessary step if the platform wants to maintain relevance. Whether you like it or not, this is the way people communicate in the modern age, such options are widely utilized. While there's no official confirmation on the how or why of Twitter's new image tools, they will come into effect. Sooner rather than later. As evidenced by the rise of Snapchat and Instagram, images are an becoming an increasingly important part of social media interactions. As technology advances, we're being provided with new opportunities to expand out connective capacity - live-streaming is a prime example of this, giving us the ability to connect with people on the other side of the world, in real-time. The power of visual content is significant, and it's only going to become more important as our mobile networks and connective capacities increase. It might be worth considering now how these new features could be used to benefit your brand efforts.